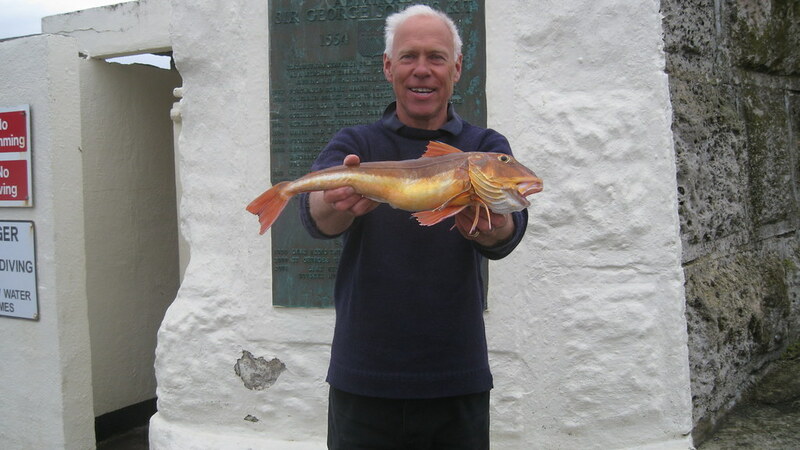 Mike Hansell with a season's best Tub Gurnard of 1,754gms (3lb 14ozs) that he caught in the annual two day FGFID - 2016 Boat Competition. 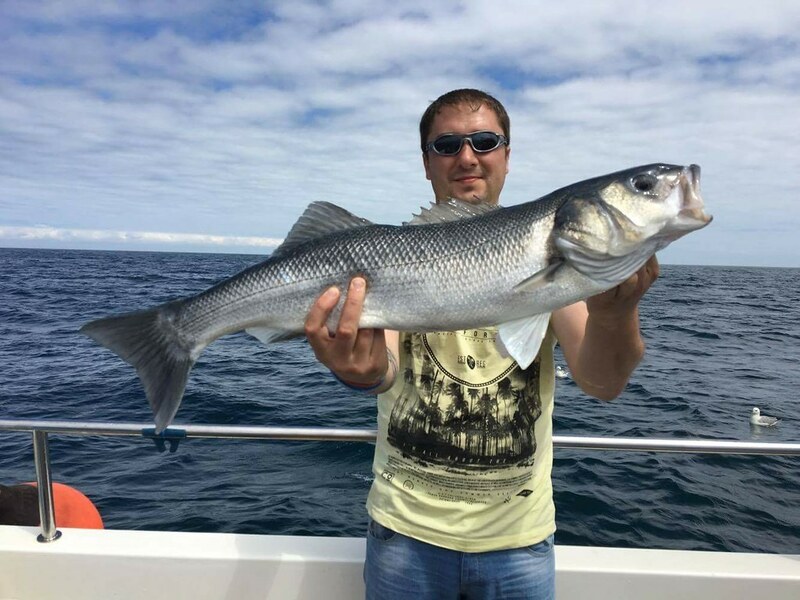 This fish gave him a specimen size of 154.67% under AT rules. 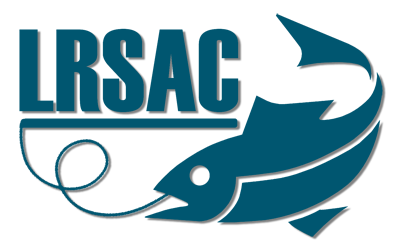 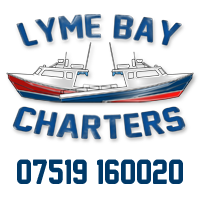 Winners from round six of the LRSAC Boat League. 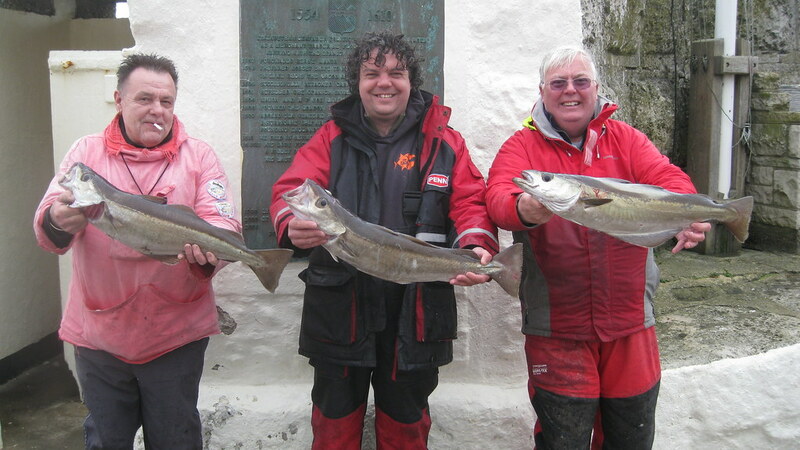 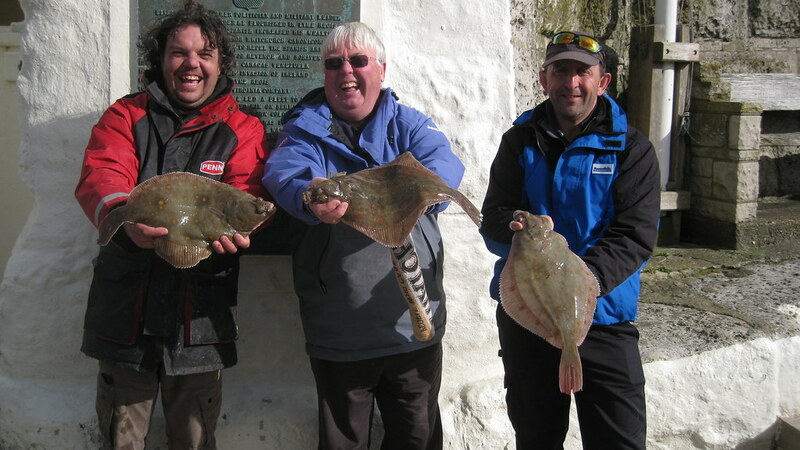 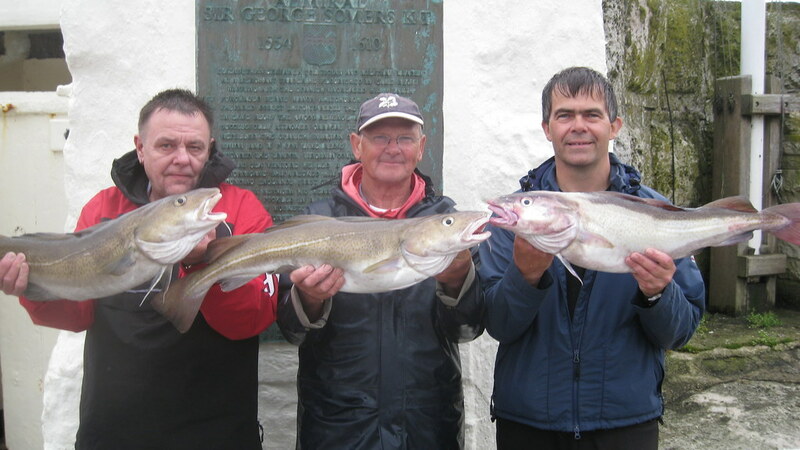 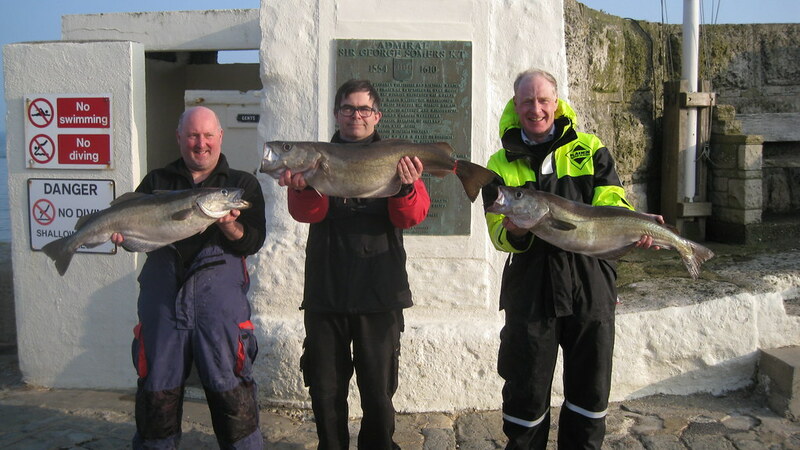 Left to right : 3rd Colin Thomas's Cod of 9lb 0ozs, 1st Barry Moore's Cod of 9lb 13ozs, 2nd Andy Wray's Cod of 9lb 2ozs. 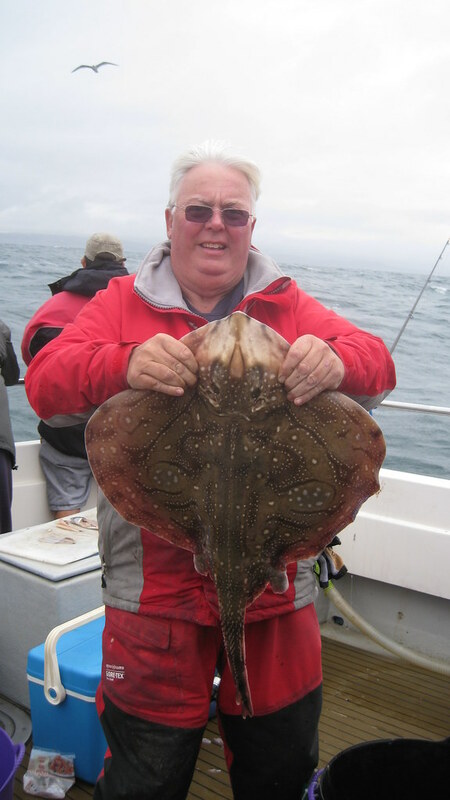 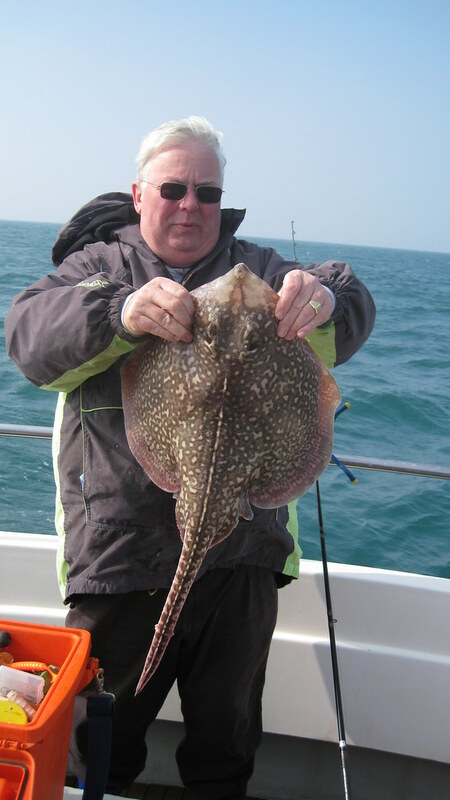 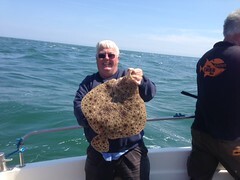 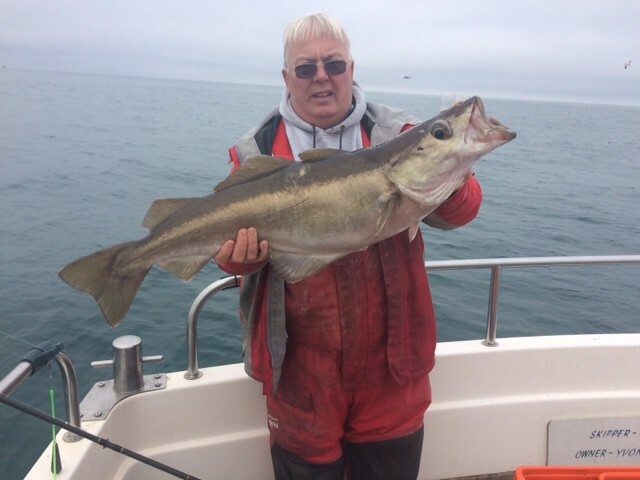 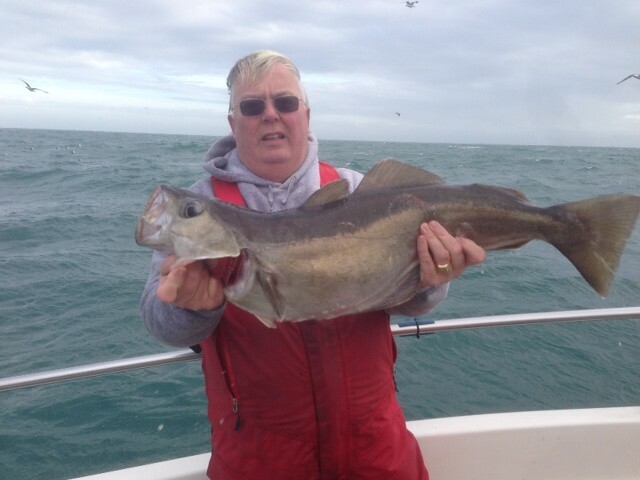 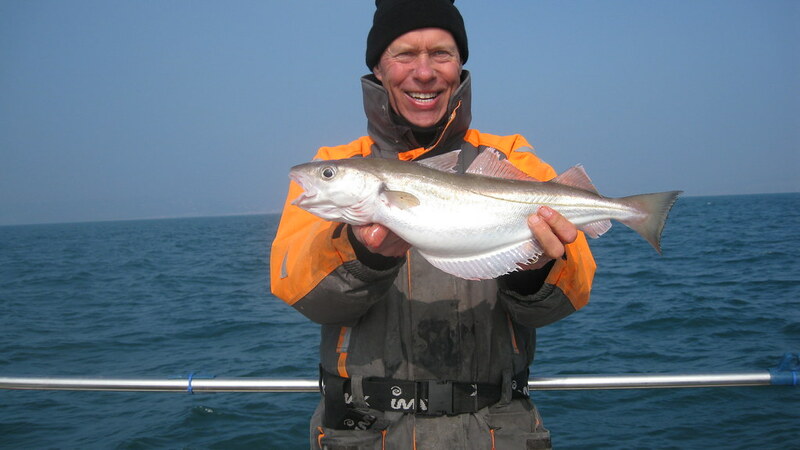 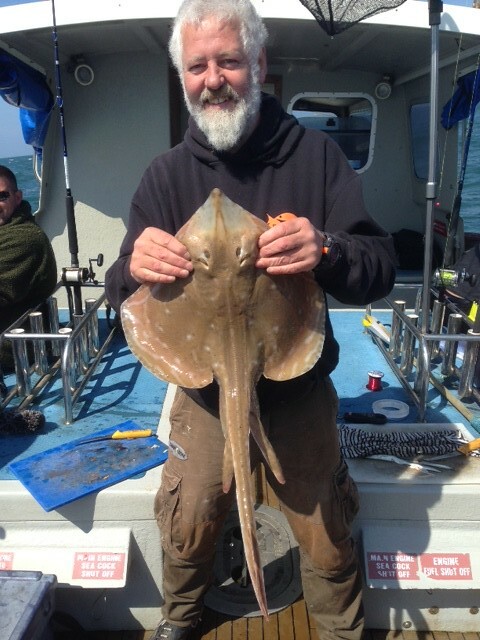 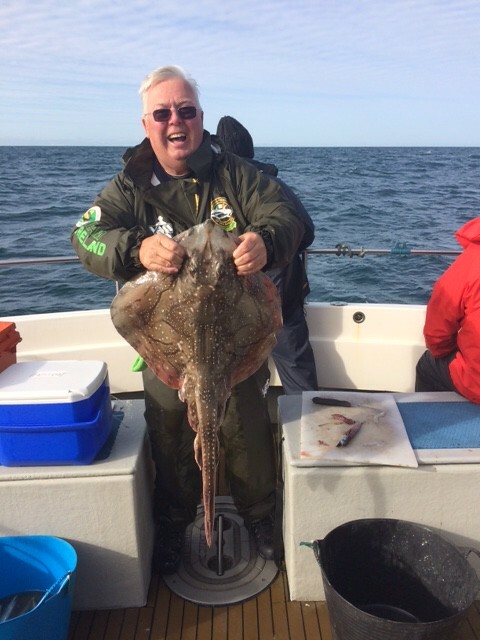 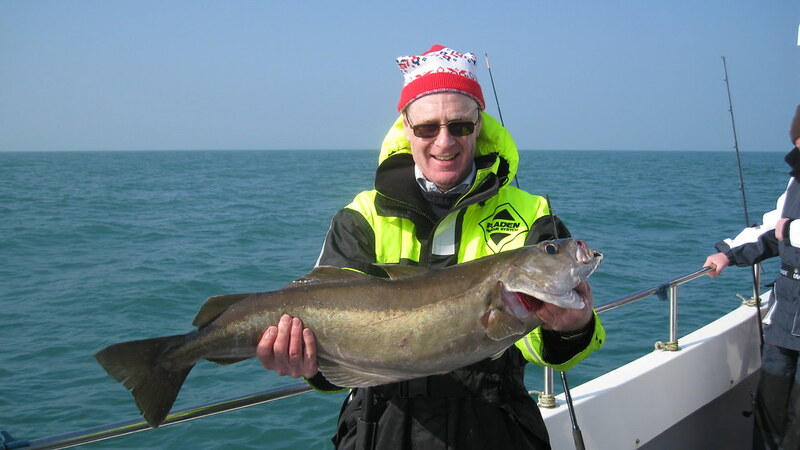 Roy Shipway with his season's best 5lb 10oz Turbot caught on Alice Rose (skipper Lewis Hodder) in late May. 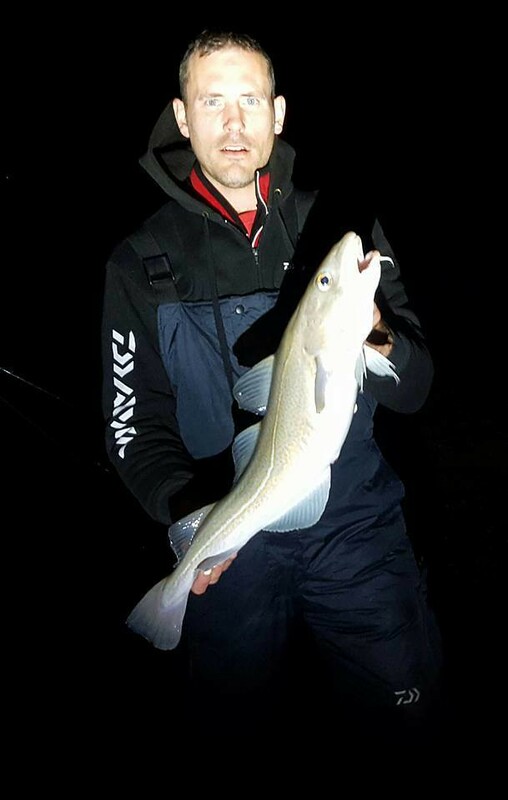 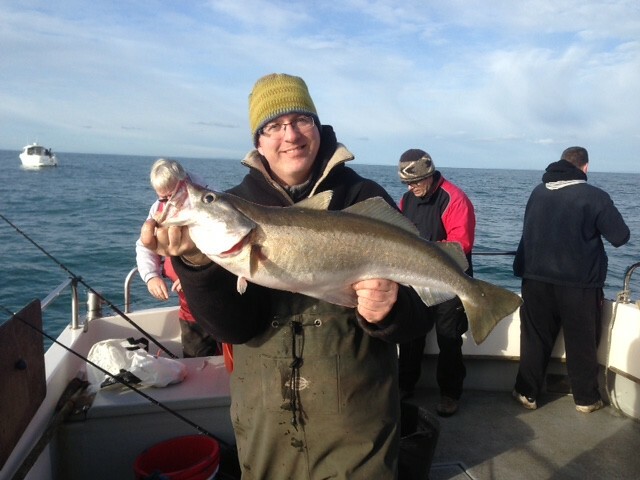 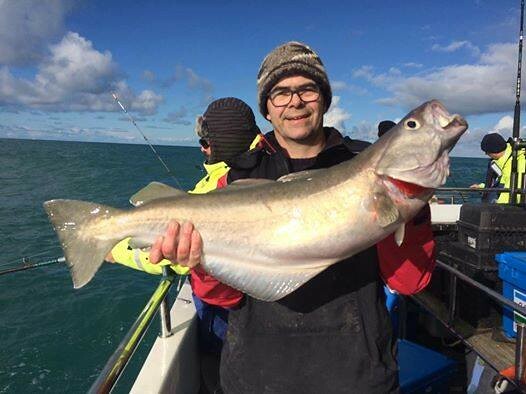 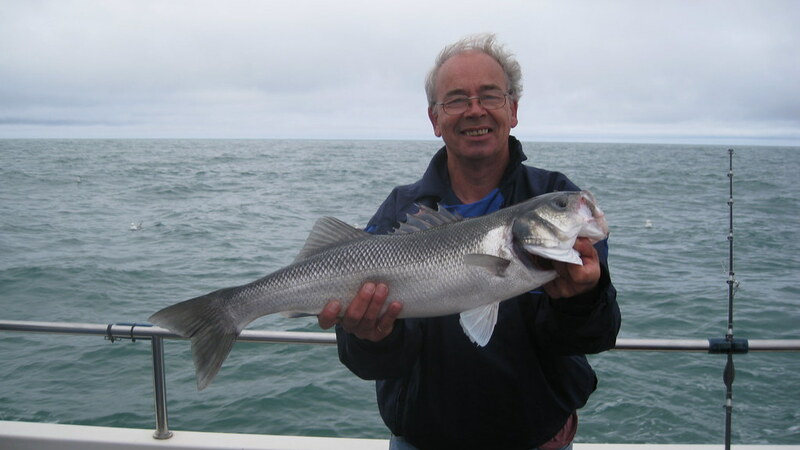 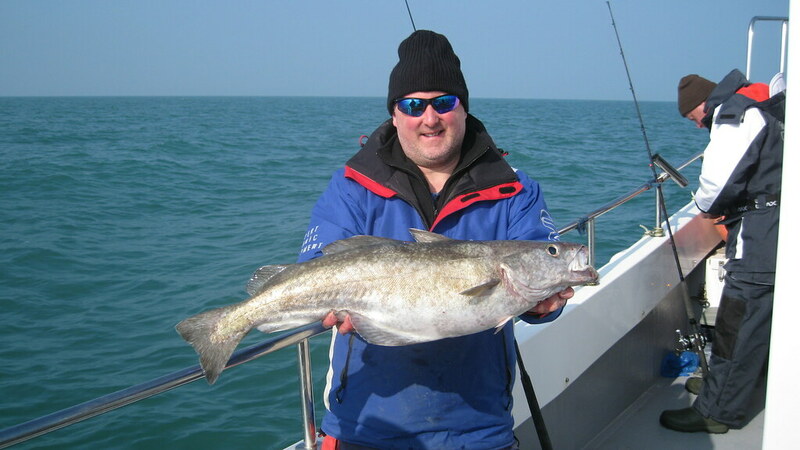 Paul Thompson pictured with a nice 14lb Pollack caught on Alice Rose on 12th April 2016. 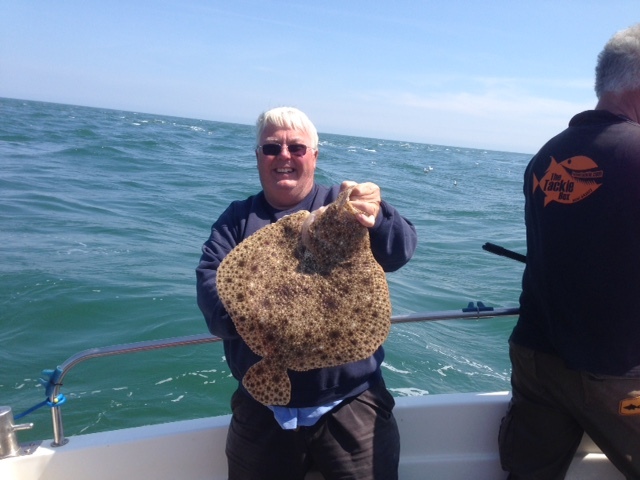 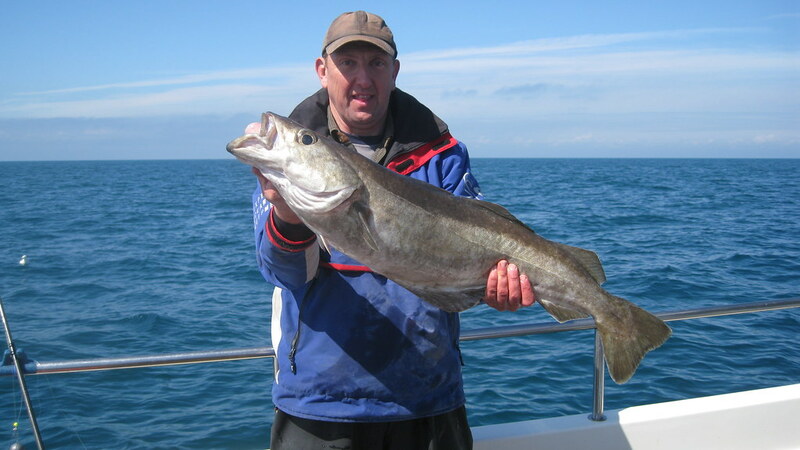 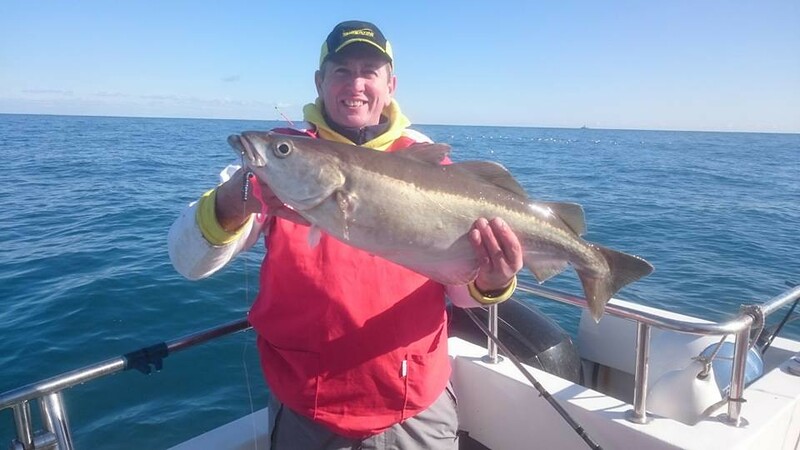 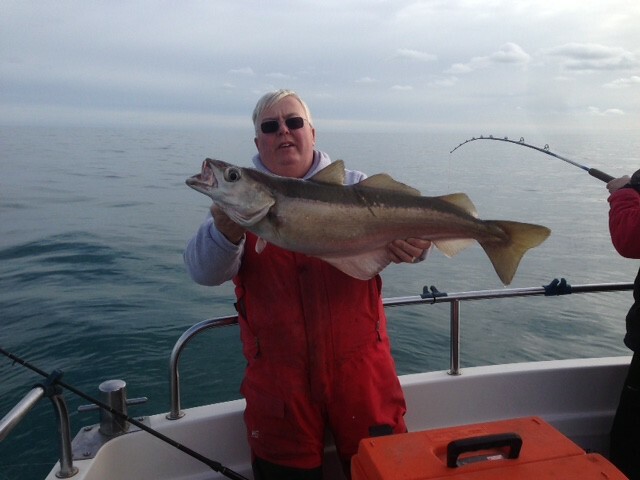 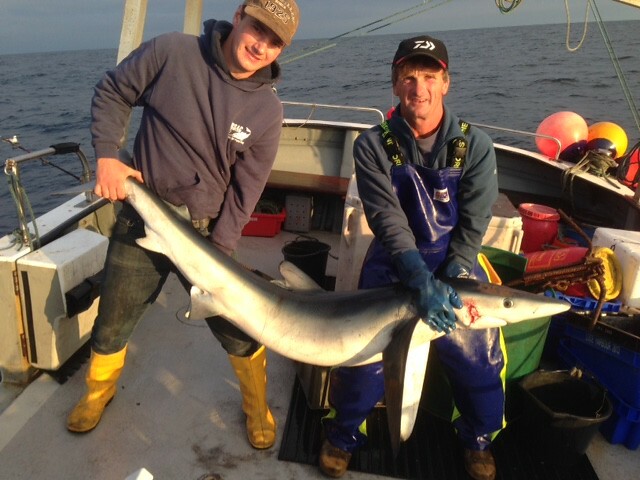 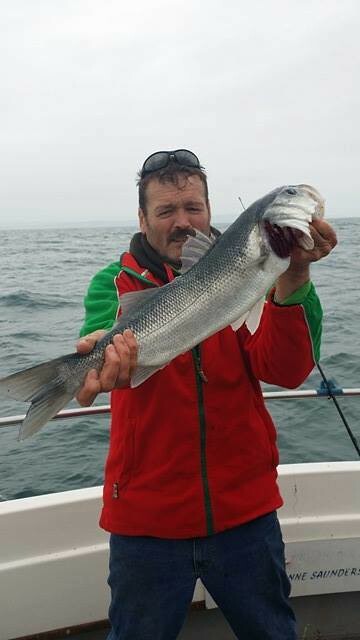 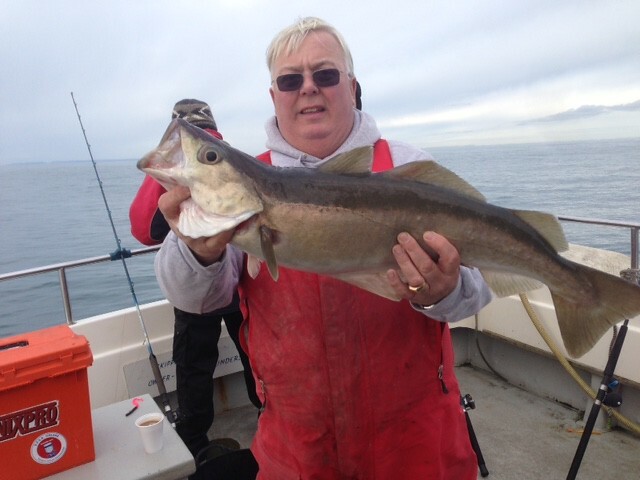 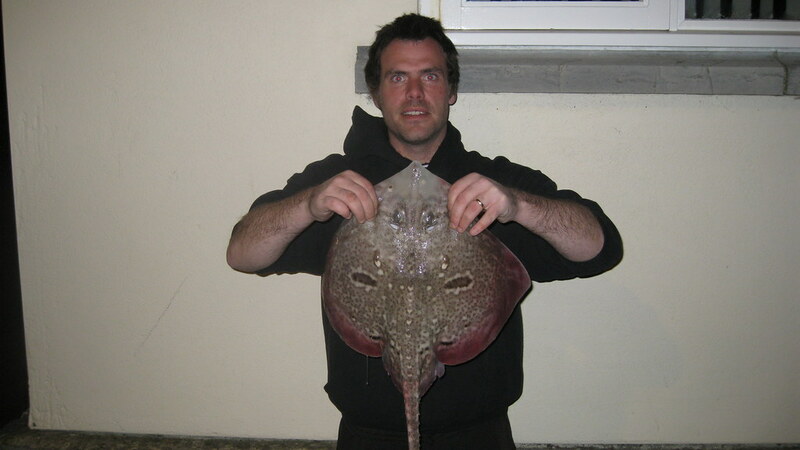 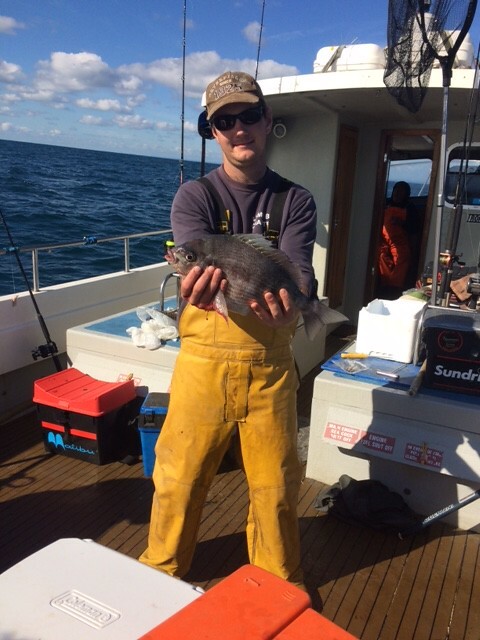 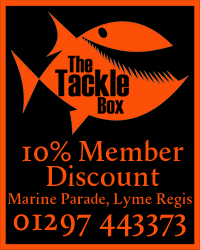 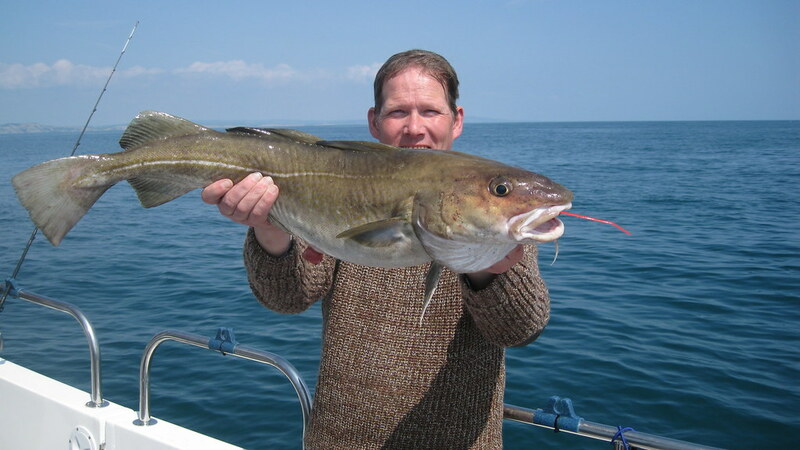 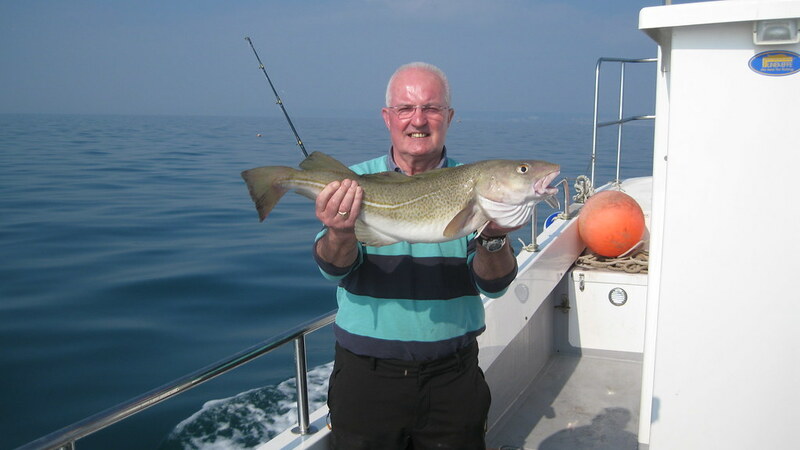 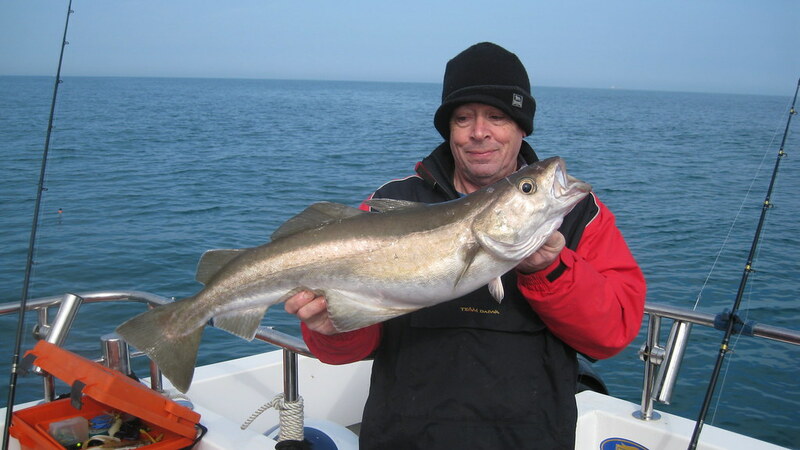 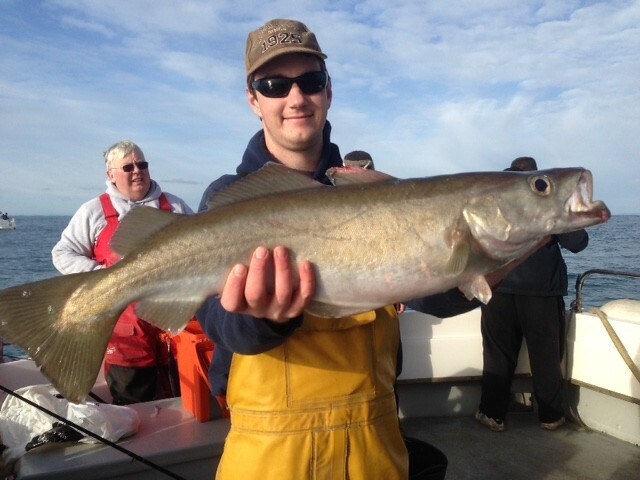 This was caught in a depth of 160ft and was one of over 40 caught on the boat during the day. Willow Herbert shows her Dad how to catch big Flounder's!! 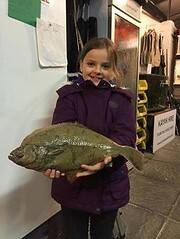 Willow proudly showing her Flounder of 575gms that beat the other 12 adult members in round 4 of the Saturday Night Shore League. 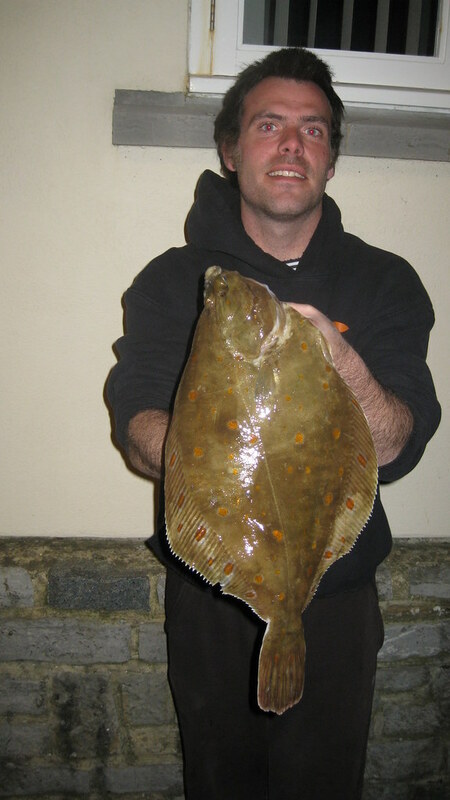 She took first place and the five points, Dad (Darren) came second with a smaller Flounder and took four points. 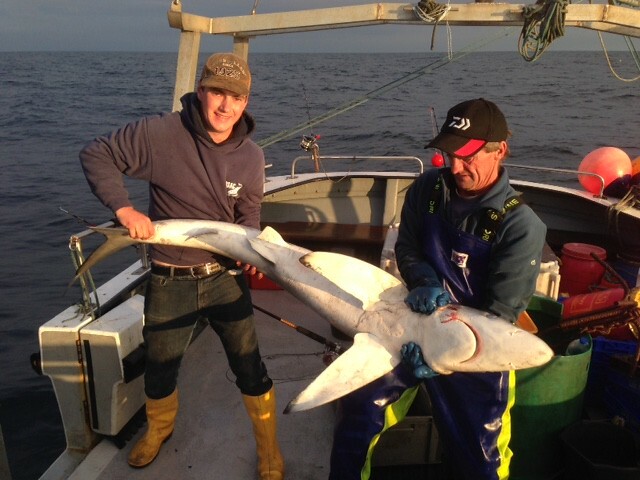 Well done Willow.